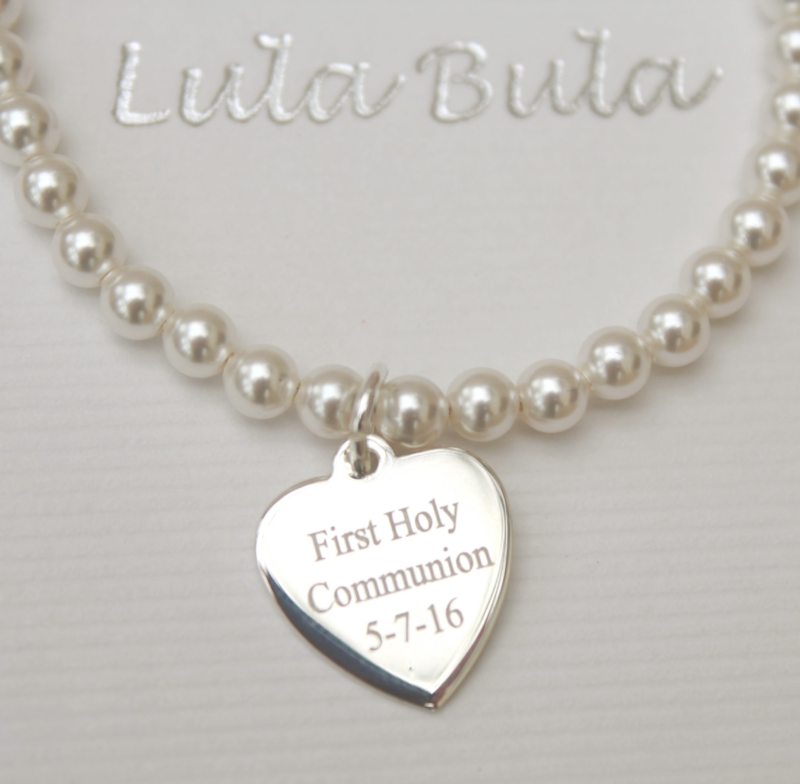 Our gorgeous handmade white swarovski crystal pearl keepsake First Holy Communion bracelet has a sterling silver heart tag attached which measures approx 1.4 cm x 1.3cm and can be engraved on both sides with name/s, date / message of your choice (a maximum of 40 characters can be engraved on each side). 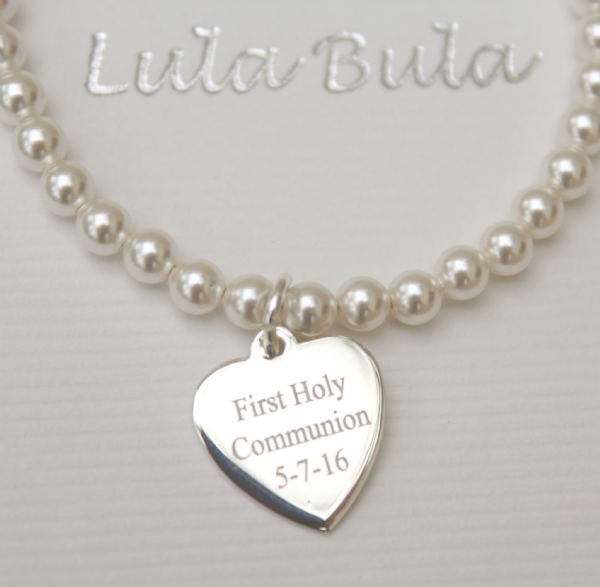 Bracelet length: approx 7" length with an extra 0.5" silver - it can be made in a smaller 5" or 6" length to fit smaller wrists. 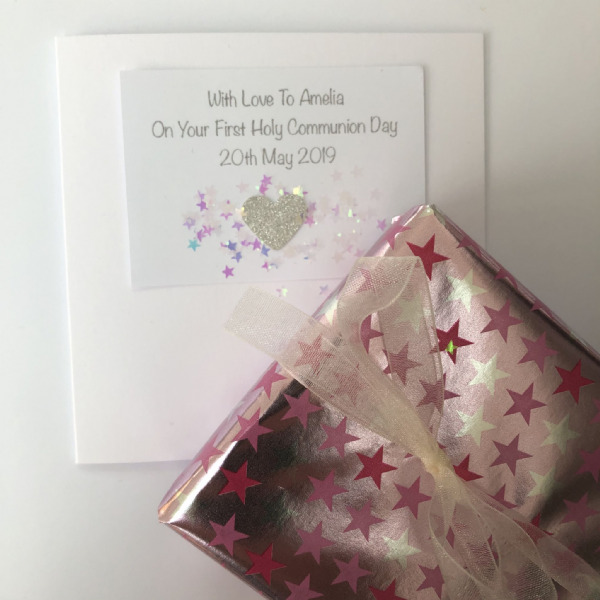 Our First Holy Communion bracelet is handmade to order and can be made in white swarovki pearls as shown or with clear (ab) swarovski crystals. Crystals / pearls measure approx 4mm each.